Phil Smith, Director of Snoworks Ski Courses gives his top 10 reasons why the St Anton Backcountry Course remains the most popular course in the whole of the Snoworks programme. Known as ‘The Cradle of Alpine Skiing’. 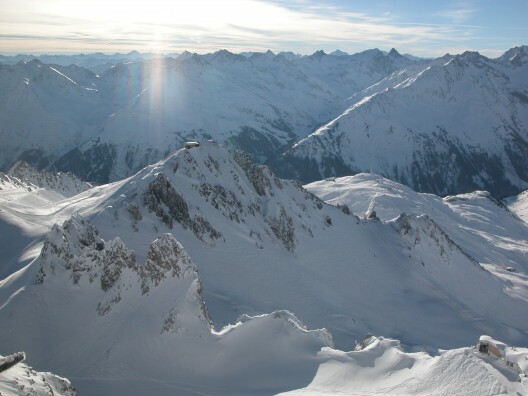 It’s said to be the birthplace of skiing and for those who frequent St Anton it’s high on the list of one of the world’s greatest places to ski. St Anton has it all – a huge interconnecting lift system, a nightlife to rival London’s West End and outstanding backcountry and off-piste skiing. So it came as no surprise 10 years ago when I was looking for a new Backcountry destination for the Snoworks programme – St Anton it was. Since then we’ve run annual Backcountry Courses to this skiing mecca and have never been let down. So what can you expect on a Backcountry Course at St Anton? We’ve got the whole mountain covered. Not only can we take you to the best snow and give you the most awesome off-piste experience we can also give you the skills to help you ski and experience more of the mountain than ever before. Snoworks pioneered off-piste courses using mountain guides and specialist off-piste instructors working together to blend the best of both worlds – great off-piste experiences combined with off-piste skill development. For the last 10 years we’ve been working with mountain guides from the local ski school who live and breathe St Anton. They know every bit of terrain in the whole of the Arlberg giving you unrivalled skiing and experiences with local knowledge to find the best and least skied off-piste in the area. 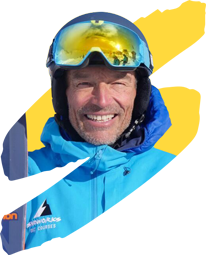 The Arlberg Ski School under the leadership of Richard Walter is one of the most famous and largest ski schools in the world. It all begun in 1921 when the most famous ski pioneer known, Hannes Schneider started it all. The whole area oozes history and Snoworks is welcomed by the Arlberg Ski School with open arms. Working in partnership with the ski school and mountain guides we have unprecedented support from local authorities with access to the latest off-piste bulletins and snow safety. One of the biggest and most influential aspects of all Snoworks Backcountry courses are the Snoworks off-piste coaches. Not only do we take you to where the best and least tracked snow is we can also help you develop the skills to ski more and experience more of this outstanding off-piste area. Snoworks is pioneering off-piste learning, breaking new ground in how off-piste skiing is taught. Snoworks ‘Open Environment’ learning achieves quick skill development whilst developing strong confident off-piste skiing. A world famous route off the top of Valluga 2 down to the village of Zurs. The top, not for the faint hearted – reserved for experts. One of the ‘must do’ off-piste routes in the world. Head as high as you can using the Rendl lifts and you have access to the North Bowls and the great snow conditions of Hinter Rendl. Off the top of Riffelscharte and you have easy access for skiers of relatively limited off-piste experience or take the Gampberg and you have numerous descents into the North Face with choices of steepness, some 40 degrees. Easy backcountry skiing for skiers with no or limited off-piste experience. If you’re looking for backcountry well away from the beaten track with reasonably easy access, then this is it. Head into Hinter Rendl then hike up for 30 minutes and you have access to a 10km backcountry descent all the way to the village of Pettneu. It’s cold, but who cares when you have north facing slopes that hold the snow like no other place in the Arlberg. From St Anton, 3 lifts and you’re at Stuben. Head to the top and you have numerous choices of backcountry. In one direction ski to the village of Langen and in the other direction backcountry to Morei. Two marked itineraries and if you get there early after a dump get ready to experience some amazing snow with slopes perfect for skiers with limited or no off-piste experience and powder hounds can get thousands of first tracks or go high on the sides of both itineraries and pick your steepness. One of my favourites and where I always head when it’s dumping. Tree lined, so it’s the place to be in whiteouts. Another one of my favourite spots. Take the chairlift and as you approach the top look to your left. 5 or 6 steep couloirs emanate from the top varying in level of steepness and difficulty. Close to the lifts and both tree lined. More great places to head for when the snow dumps. Between the Galzig and St Christophe is where I’ve had my deepest snow ever! Where do we begin. Zurs is where I head for quiet slopes with unlimited off-piste potential. Drop off to the sides of almost any piste and you have easy access to some great off-piste or take any of the many backcountry routes further from the beaten track such as Stierloch, Wiesele, Flexen Spitze and Trittkopf to name a few. Like the skiing where do we begin? St Anton has long been known for the place to go for après ski. Unlike other countries that come alive only after 11pm. St Anton starts the après ski straight after skiing. World renowned bars such as the ‘Crazy Kangaroo’ and the ‘Mooserwirt’ begin pumping out the music from 3pm. What this does mean is that if you enjoy a drink or two after skiing you get a great atmosphere early on and still get plenty of sleep for another great days backcountry skiing. The swimming pool and wellness center is one of the best and choices of cafes, restaurants and shops are abundant. St Anton has a vast choice of accommodation. Hotels and Geesthouses are family run and immaculate. Large self catered appartments to 5* hotels. Choice is abundant. St Anton is directly linked to a number of airports by rail with the train station situated in St Anton itself. It’s so easy to get to. Fly, bus or train. Yes and plenty of it. As always we can never promise powder but what I can say is in St Anton I’ve experienced some of my deepest powder days ever and what I love the most – when it’s dumping down I can head under the Galzig, round the back to Nasserein or across to Rendl and head for the trees. St Anton rarely lets us down. Spaces are limited and selling quickly so if you’re interested contact our office ASAP or click the ‘Reserve A Space’ link and for a £50 deposit you can reserve your space in 2 minutes (pending availability).